I discovered this series long after its first book. As I mentioned several times before (and I will keep on mentioning, with the risk of becoming annoying), this is the beauty of a book blogger – discovering books and having the amazing opportunity to read and review them directly from the source, or helping promote them in any way we can. 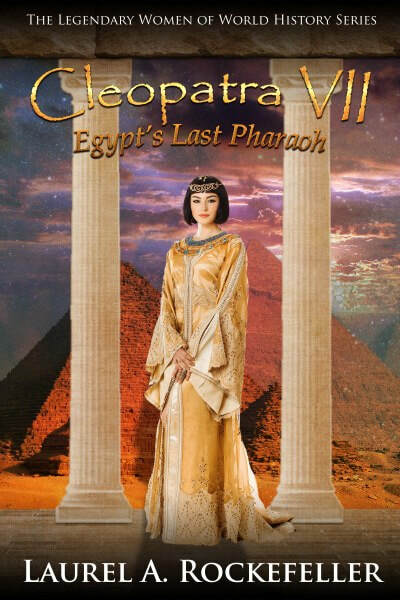 “Cleopatra VII: Egypt’s Last Pharaoh” contains some of the most important moments of Cleopatra’s life – the amazing, beautiful and intelligent Cleopatra. In just a little under 100 pages we have the opportunity to learn a little more of her life, of Egyptian and Roman history. Some of you guys may ask: why do I care? Why is she so important and why should she be of interest to me? Well the author captures in this short book how exceptional the Pharaoh was, how her beauty attracted many, but her heart had room for only one. We see how loved she was and how she returned this affection with intelligence. There are so many articles and books out there about her and about the many amazing women of our history and Laurel A. Rockefeller’s story is just one of the great ones. In the form of a narration, the author tells her life and speaks of her love and loveless marriage. I must admit I wanted to know so much more and I wanted more details. I am frustrated over the small amount of pages we have. But in my opinion, the author reached her purpose, that of making me – the reader – more curious and more eager to know more. I can only thank her for that and bow my head for the respect she is showing to one of the greatest minds history has seen. I do invite you to go through the series and discover the many other amazing personalities that have shaped our world. Cleopatra is my inspiration. Her intelligence, her way of talking, her love of people and culture is something I have always appreciated. She is power and beauty and has managed to gain the respect of many. Read about her, read about the good things she did, read about the mischievous aspects as well. to read as they are informative. Thank you for this! will you be posting your review to Amazon as well? Probably taking some time to show up. 🙂 Thank you! 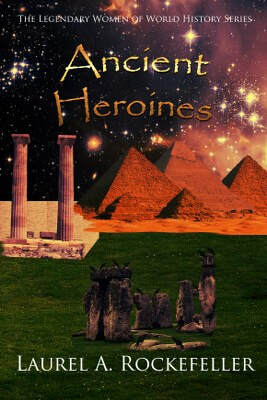 Have you checked out book eight, “Hypatia of Alexandria” yet? 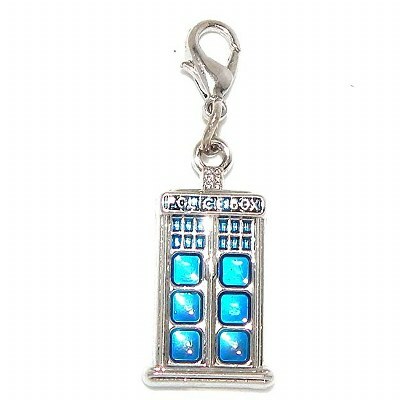 I think you would love that one too!